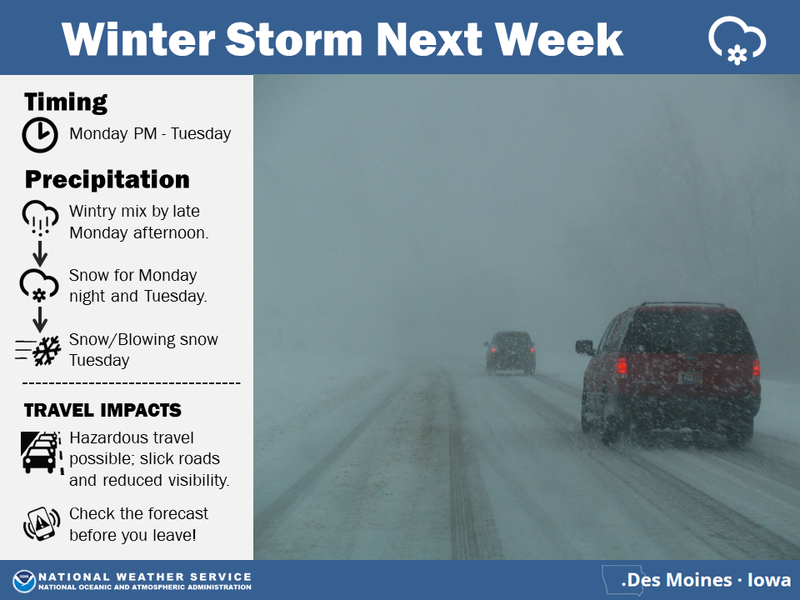 The National Weather Service reports two winter weather systems to impact the state through early next week. 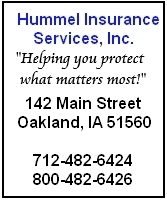 One will bring light snow to much of the state early Sunday morning through Sunday afternoon. 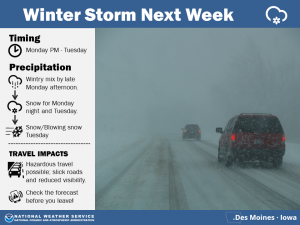 The second stronger system will bring another potential winter storm to impact Iowa late Monday through Tuesday night.